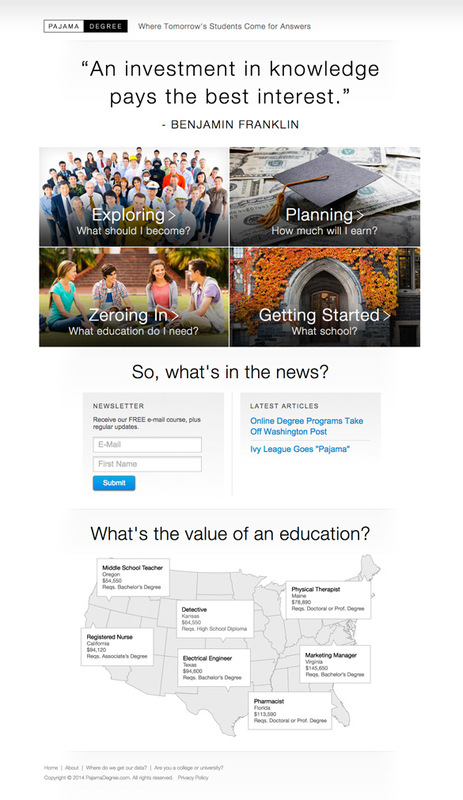 This was a website designed while I was at Gallup. 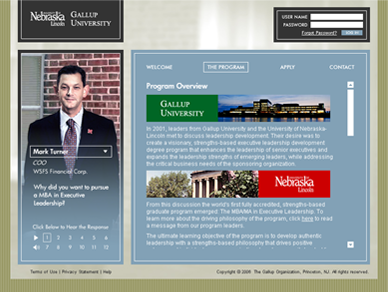 I designed this based off a pre-existing website since we wanted it to fit within Gallup’s overall branding. 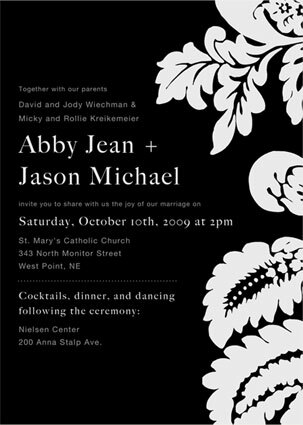 I helped direct content ideas and strategy, designed the website, chose photography, and designed icons for many of the pages. 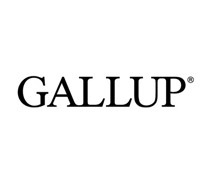 Initially I was a part of the identity and logotype design direction of Gallup products as well, keeping all Gallup products and services consistent in visual identity. 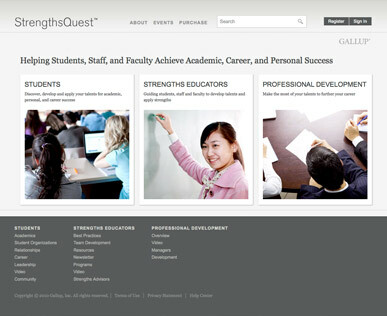 StrengthsQuest is a self-development tool targeted toward college faculty and students to help them grow and use their strengths to help direct their lives and career in a more positive direction. 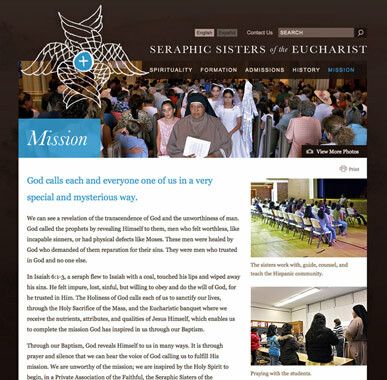 This site was designed from the ground up to help the sisters ultimately gain more vocations to their religious community. 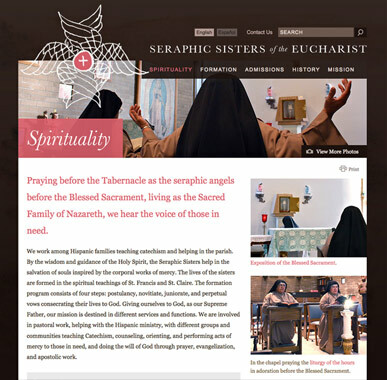 The use of photography was a primary element to show what type of mission the sisters partake in and how what the overall community is like where the sisters live. 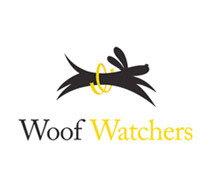 The website was developed in Wordpress, an open source system which can be used to update content from a back-end user interface. 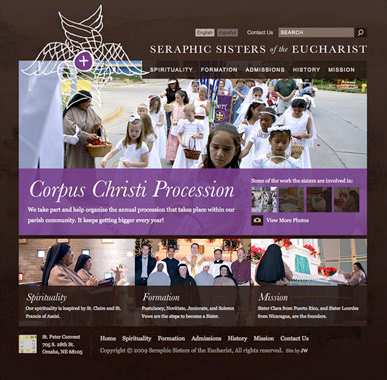 Photography on the site was taken by me as well as others from the parish community. 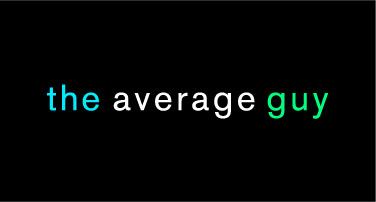 This is a logotype designed to represent the parent company that sells and distributes official ultimate frisbee discs to over 190 countries worldwide, with very competitive pricing. 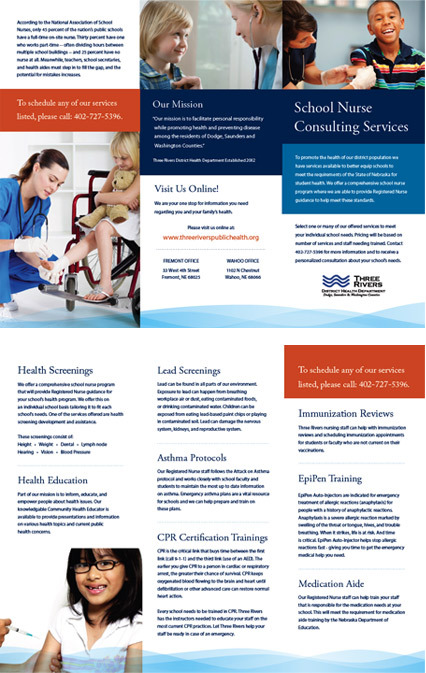 This was designed to showcase various services Three Rivers offers related to nurse consulting. 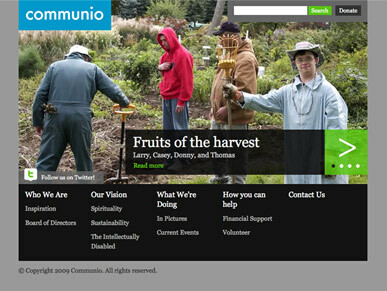 Communio is a 503c non-profit dedicated to the long-term care of those with intellectual disabilities in an environment that promotes a balance of healthy spirituality, community, and physical activity. 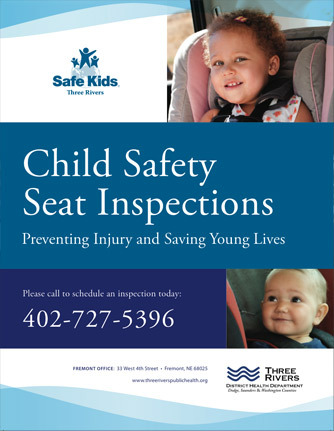 This site was a winner of a Nebraska AIGA (American Institute of American Arts) Professional Silver award along side other top design and advertising firms in Nebraska. You can view the award mention. 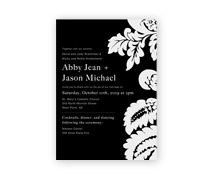 My sister wanted me to design her wedding invitations, how could I pass that up? I was happy with how they turned out, she had a lot of input on the project and was looking for something pretty specific. 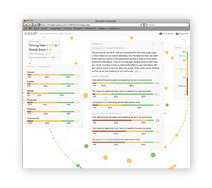 This was designed while at Gallup to represent the foundational and customized code-base which acted as a foundation for Gallup Online. 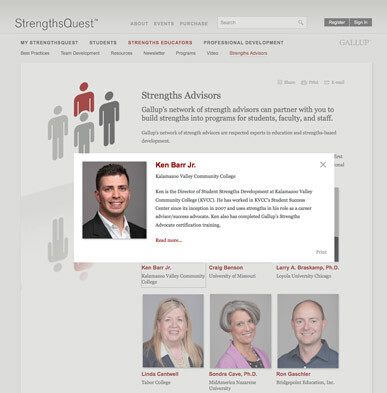 This was designed while at Gallup to represent Gallup Online, a system and user interface that acts as the portal to deliver client specific data and consulting. 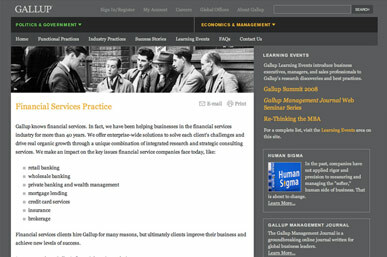 Since then and after Gallup's re-branding, this has been replaced by a new identity system which I helped with as well. 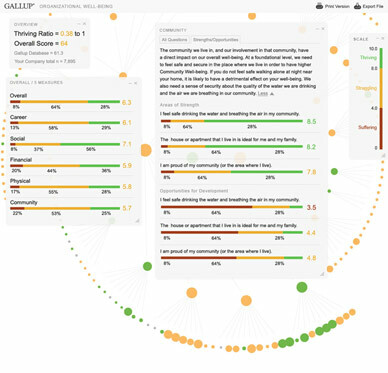 This was designed while at Gallup to represent the internal system that houses Gallup's questions for composing questionnaires. 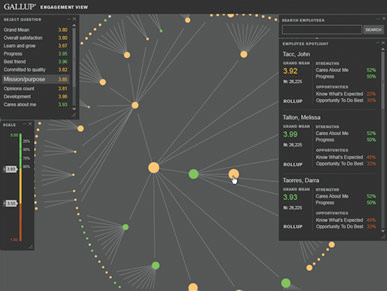 This was designed while at Gallup to represent an internal system that keeps track of external and internal associates related to Gallup's networking systems. 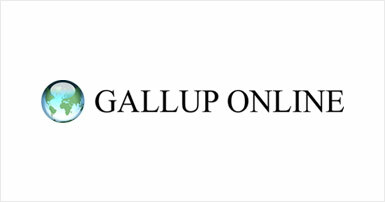 This is the official re-design of the final Gallup logotype. The original was a typed out version of Times New Roman which was then modified. 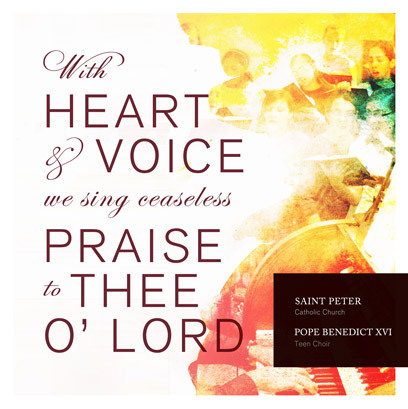 I took part in the art direction of this design as well as the contribution to the design and production itself, particularly in the enlargement of the serifs to add visual weight and better scalability when the logotype is shown in small spaces. 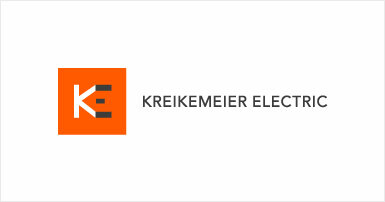 This is a logomark and logotype design to represent a newly formed electrician business for a friend of mine. 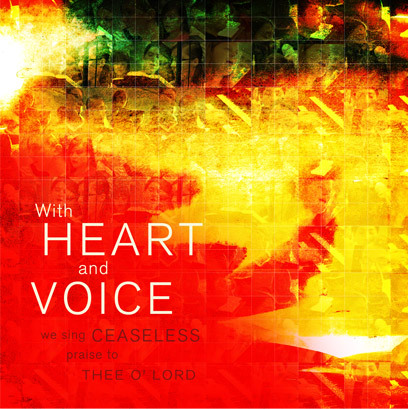 I wanted this to appear fresh and new, yet keep in line with what my friend was envisioning as well. I wanted it to be scalable from small to large and work on various mediums and to target younger audiences but still relate to everyone. 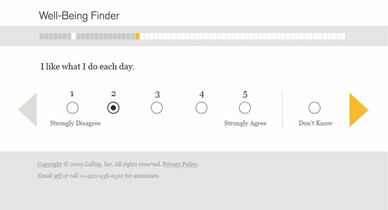 I believe making design appear new is very important in it's proper context, as their are reasons not to do this in certain cases as well. 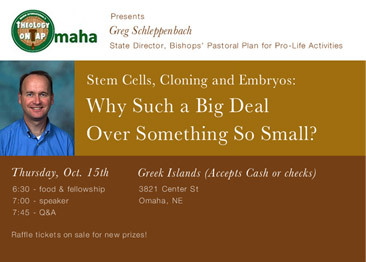 This was a flyer designed for a Omaha Theology on Tap presentation given by Greg Schleppenbach. 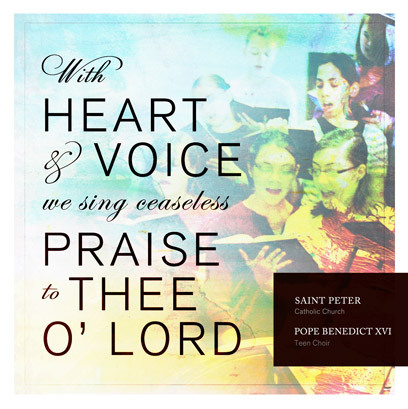 Theology on Tap is primarily for young adult Catholics, creating a comfortable setting to teach more about the faith. 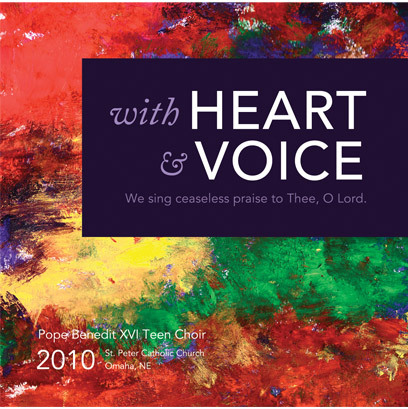 To read more about Theology on Tap, please visit their site. 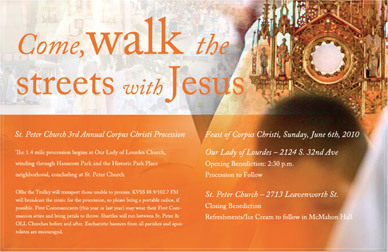 This is a poster, flyer, and t-shirt designed for the 2010 St. Peter Catholic Church annual Corpus Christi Procession held in Omaha, Nebraska. 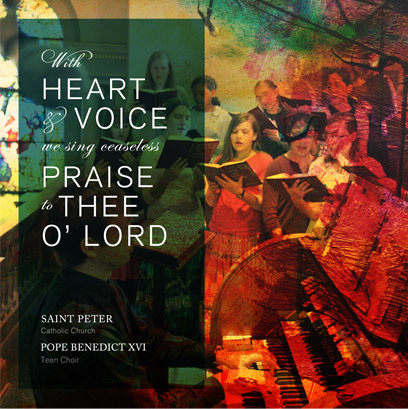 There was also a print ad designed for the Catholic Voice and a web banner for St. Peter Churches website. This was the logomark based on a pre-existing medal the Sisters wear. 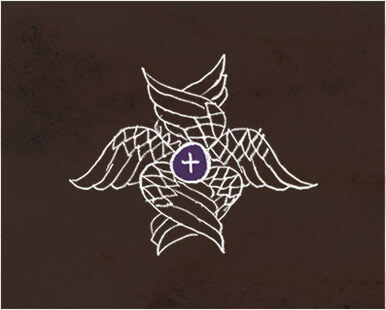 It represents the 6-winged Seraph angel surrounding and protecting the Most Holy Eucharist which as Catholics, we believe is Jesus Christ's Body, Blood, Soul, and Divinity. I wanted to make this mark appear friendly and urban in a sense since the community is downtown, representing who the Sisters are but also to appeal to young woman, hence the sketch and loose style. 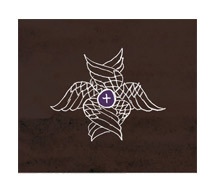 This mark appears on the website apart from the logotype "Seraphic Sisters of the Eucharist" but could be designed to integrate with it if need be. 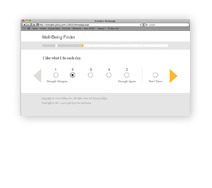 This was an interface design mockup created to show an organizations overall Well-Being scores in a single user interface. 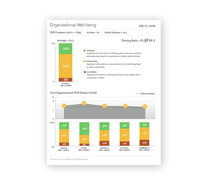 It shows each individuals score based on color and shows the structure of the organization as well and how each persons Well-Being score may influence a particular manager or managed associate with drill down options for researching particular question scores as well. 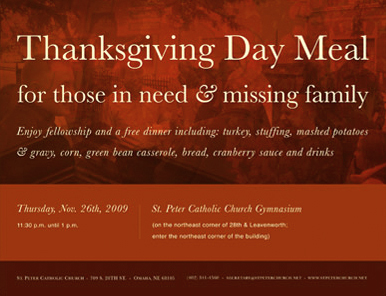 This was a poster designed to promote a free Thanksgiving meal at St. Peter Catholic Church. 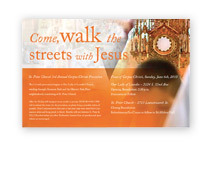 This was printed and hung up around the regional Church area. 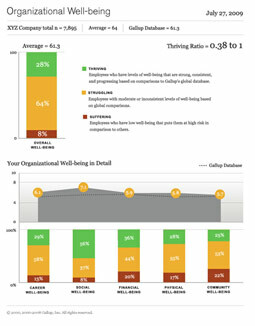 This was for the Wellbeing assessment created by Gallup. 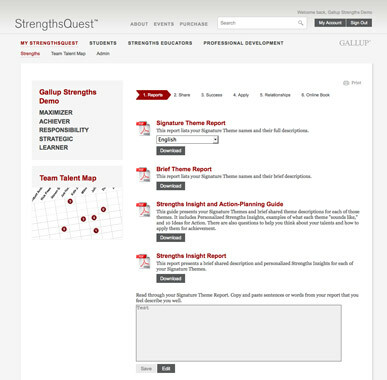 This was a mockup for how to show the results of a person's assessment in a print format so they can easily share it with others. 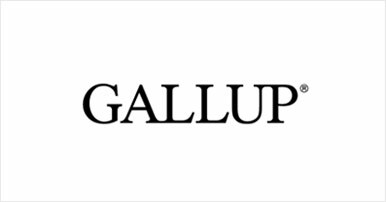 The identity, colors, and overall typography and layout were created within the overall Gallup brand, with some leeway to create Well-Being as a more stand-alone brand as well. 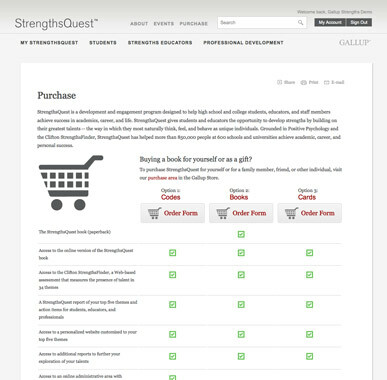 This was a mockup designed for to showcase Gallup engagement scores in an easy to use java interface. 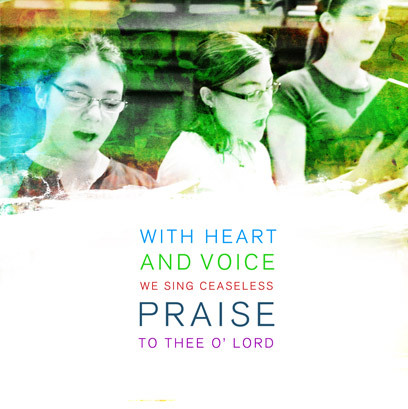 I took a previous design and updated it with the darker color palette and updated the layout, typography, and overall design. 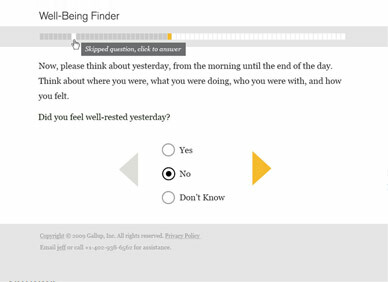 These were mockups designed for the Wellbeing Finder assessment. 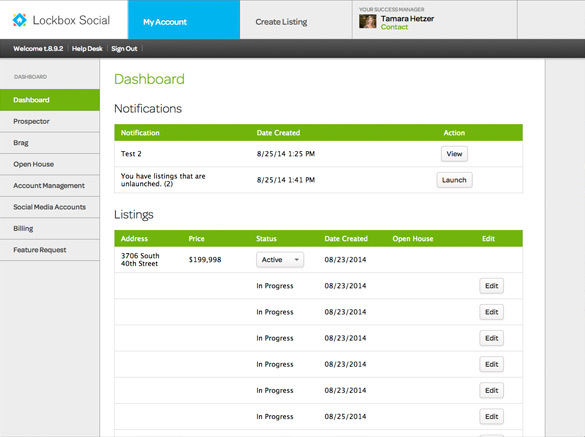 The interface was created in a way to be as user-friendly as possible. 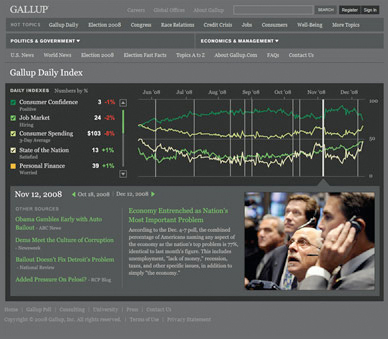 This was a mockup designed to showcase the Gallup Daily Indices on a single page where users could compare the different indices to see how one affects another and so on. 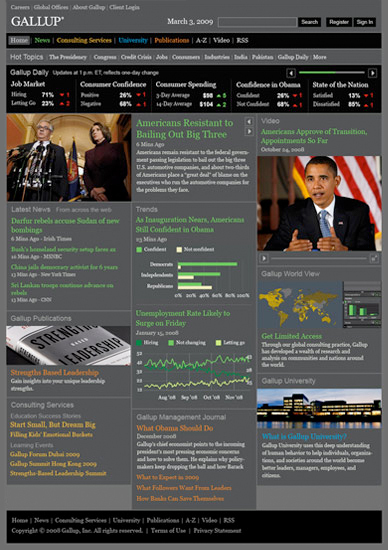 This was a set of mockups created for a press packet used to show organizations information about how they can use Gallup.com as a resource for trusted research based news on important topics in the media. 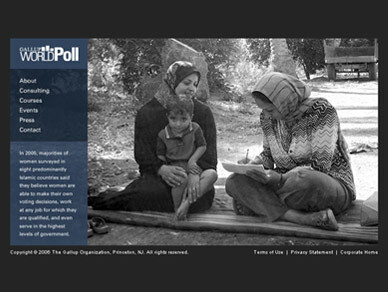 Ultimately this design wasn't used, instead we focused more heavily on trend lines as a way of showing how Gallup's research and news is based off of collected data from the hearts and minds of Americans and beyond, and how this information is a source on what the people are actually thinking versus what perhaps people may think. 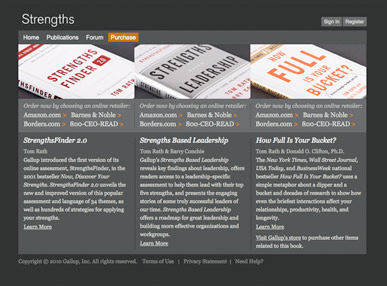 This site was designed while I was at Gallup to showcase the Strengths based books written by Gallup authors, primarily Tom Rath a New York Times best selling author. 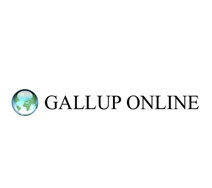 The site's overall branding needed to fit within Gallup so the colors, logotype, layout, and typography were taken from Gallup's official branding system which was in ongoing development when I was working on this site. 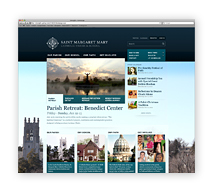 I also worked on the front-end css/html markup development in Visual Studio. 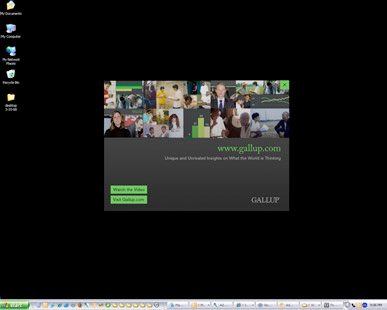 The site was built in .net by the internal Gallup .net development team. 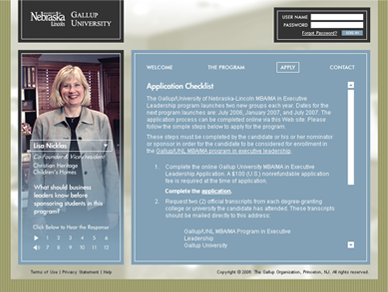 This was designed to showcase and market the Gallup and University of Nebraska at Lincolns partnership to provide an MBA/MA in Executive Leadership. 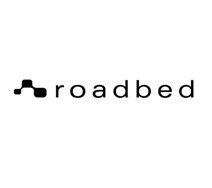 The branding needed to be neutral in a sense to both organizations, so the goal was to create something unique and stand-alone. The site needed to inspire interest in the program so what better way than to have actual alumni speak about their experiences through interactive video right on every page. 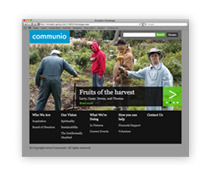 Four alumni locally and internationally volunteered to be on the site to talk about the great aspects of the program. 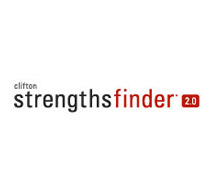 This was the logo designed for the StrengthsFinder 2.0 program website and materials. 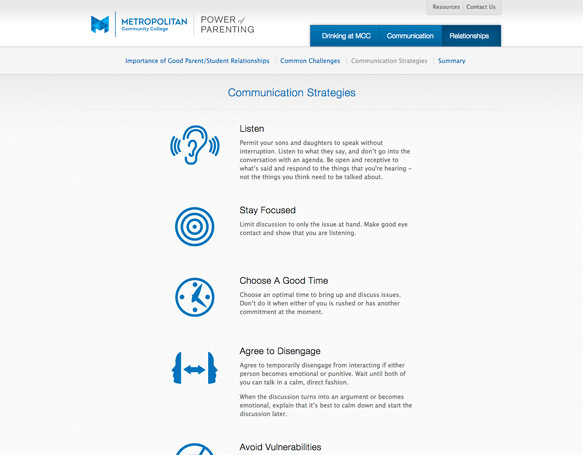 This site was designed for a friend of mine who I used to work with at Gallup, named Kim Goldberg. She is a fine artist, photographer, and designer. 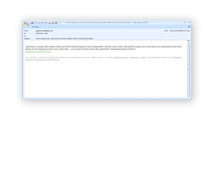 The site was built completely in Flash. 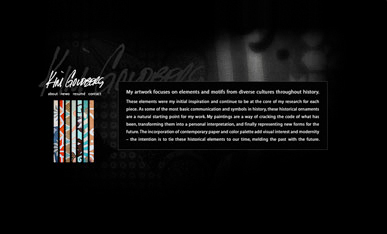 I wanted the site to feel unified with her artwork by using textures and design from her actual paintings for the website's background. I also liked the personal touch of her actual signature for a branding element. 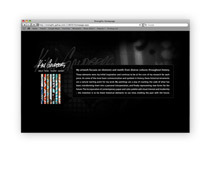 Kim helped out with the art direction as well. 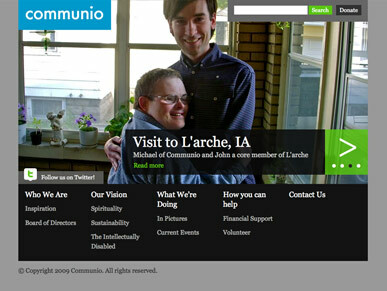 This site won a bronze AIGA award in Nebraska. 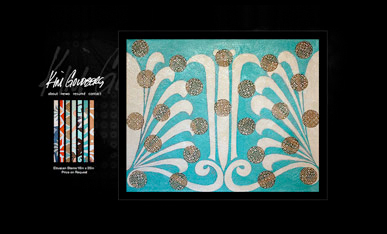 She also used this similar identity that was created and designed her own business cards. 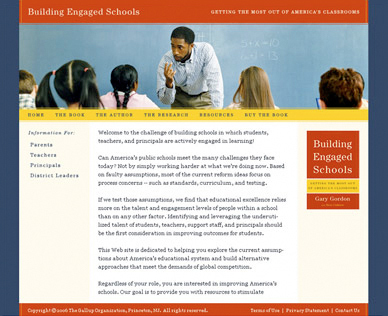 This was the re-design for the Gallup Education Division website before we worked on the greater re-branding of Gallup internally and externally. 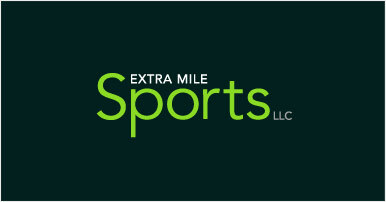 The goal was to enhance the entire branding and to promote it's services in a more professional manner. 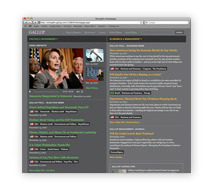 This was some design that was for the Gallup.com major re-design in 2007. 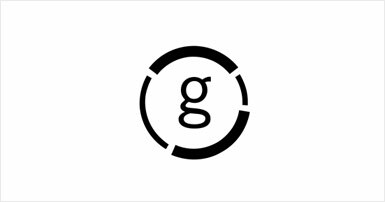 I was a part of the design team at Gallup and we partnered with Lisa Strausfeld at Pentagram New York office, a design firm with offices around the world, and her new media design team. 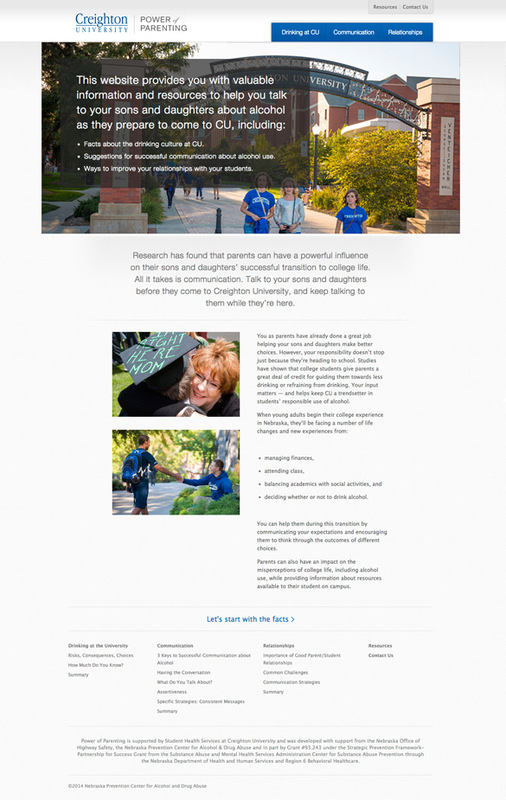 Lisa is a Gallup Senior Scientist who consults on certain Gallup design projects. 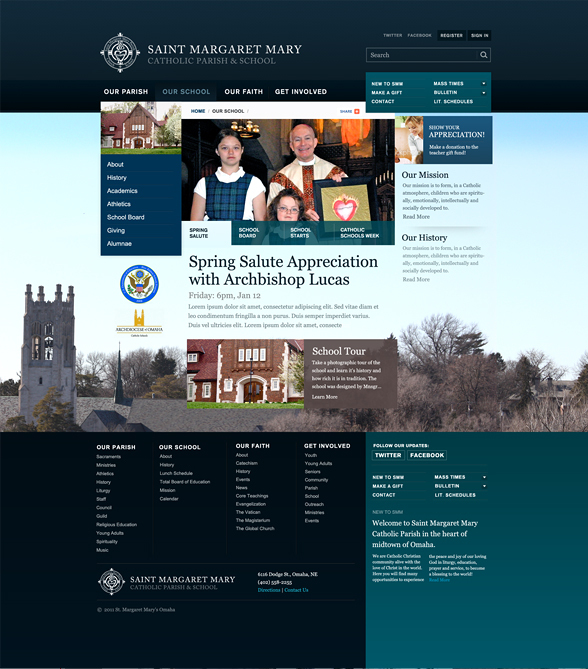 I worked on the collaboration design process and art direction of the site as well as doing the front-end css/html development in Visual Studio. 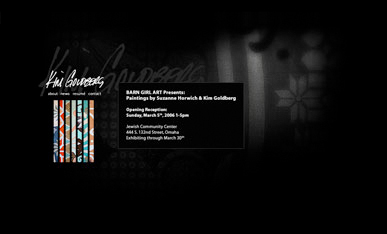 The site was placed in STEP Inside Design magazine, a national design publication, for Best of Web 2008. 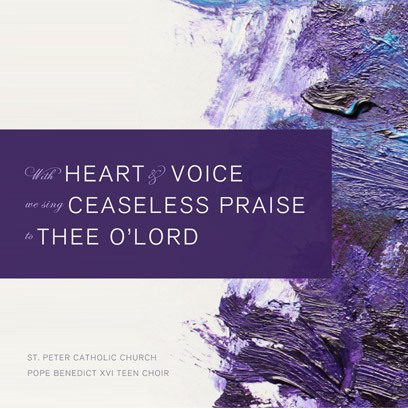 You can view the mention online here. 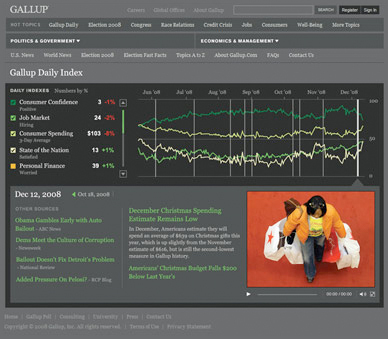 I also worked on the new updates to the current Gallup.com over time since my resigning in 2009 helping consult on design, usability, and overall art direction. 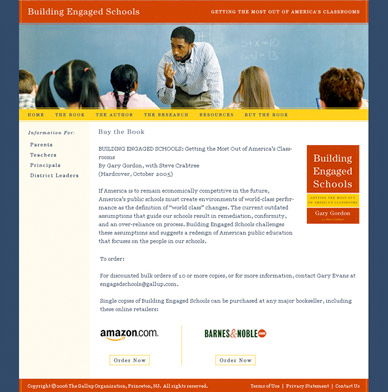 This was a website designed for Building Engaged Schools, a book written by author Gary Gordon with contributions by Steve Crabtree both of Gallup. 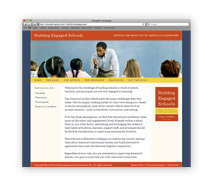 The site was created to show how Building Engaged Schools can help parents, teachers, principals, and district leaders learn more on how to do exactly that, to build a school where people are engaged in teaching and in learning. 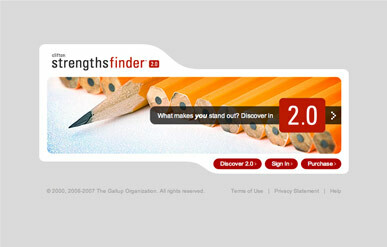 This was a mockup for a Google widget. 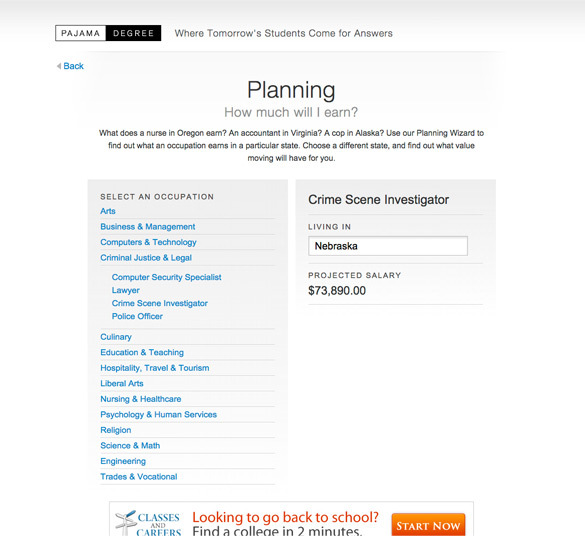 The design never made to release as other priorities sprang up at the time. 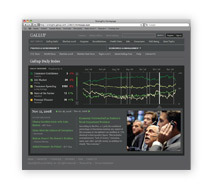 The widget was to show an overview on the 2007 Presidential Election, it would show video, trend data, and an update on the latest Gallup stories related to the election. I wanted the design to use high contrasting colors to stand out on the Google custom homepage and appeal to the target audience. 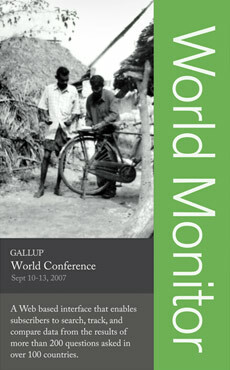 This was a mockup idea for the Gallup World Conference help in Omaha. These were concepts to hang from the ceiling at the Omaha Riverfront Campus' technology fair where various types of technology are showcased. I wasn't assigned officially to the project but wanted to contribute ideas, the final designs were actually similar to this and were done well by my co-worker, another designer. 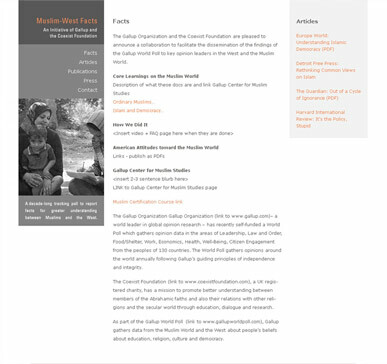 This was a mockup created for a re-design of the Muslim-West Facts site while I was at Gallup. These colors used the new palette that we came up with at Gallup so it was tying in with Gallup's official brand palette, font usage, and general design and layout. 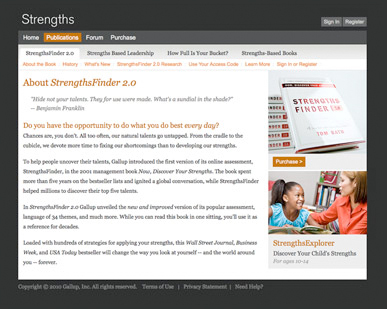 This design ultimately wasn't used since the stakeholders of the site wanted it to appear more set apart and branded individually apart from Gallup respectively, to stand on it's own. The final layout was also created by my co-worker as I handed off the project to work on other projects while I was there. 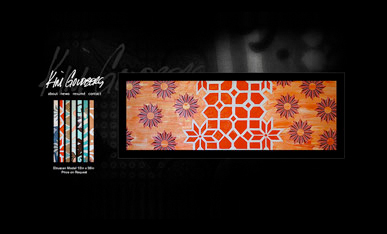 The final design was more true to the colors that I originally created for the first launch of the website. 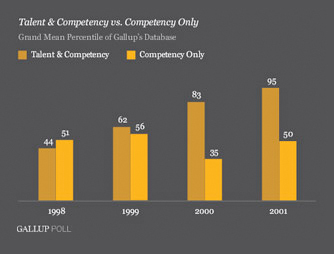 These were the final output examples of an update in branding to how Gallup displays their data. 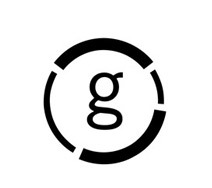 The goal was to unify the design with Gallup's overall newly established identity. 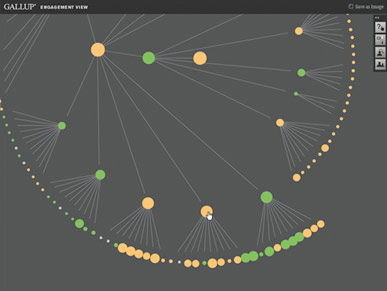 These graphs were exported by an Adobe Flex tool which would allow the importing of data, the modifications to the graph layout and some design, then the graph would be exported as an image from the tool. 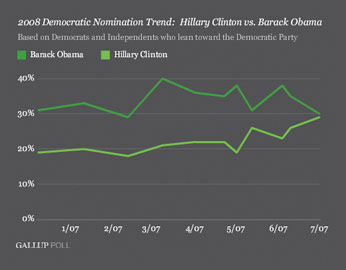 It allowed editors to make their own graphs yet allowed the design to stay consistent. 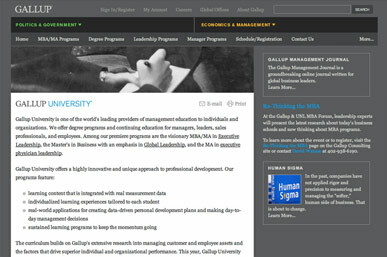 Design for showcasing Gallup careers on Monster.com. This design was the version our CEO at Gallup liked the most, since it did exactly what he wanted it to do, to be to the point, non-commercialized in appearance, clutter free, and easy to take in. 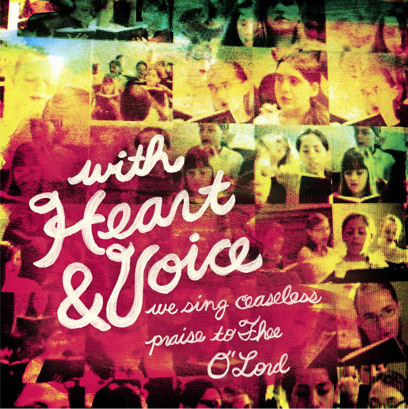 This version is still being used today. 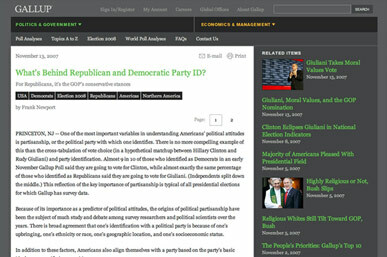 This was an idea for Gallup.com to show what the homepage could be. 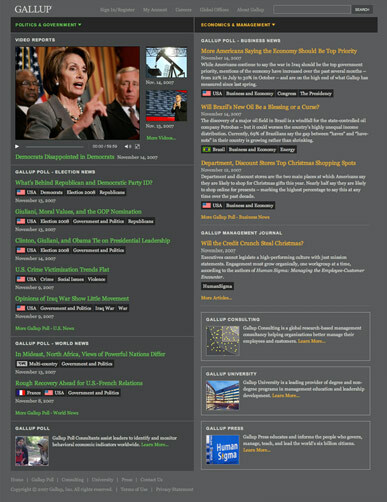 It was inspired by the homepage currently was, as well as other top news websites I thought were good examples to showcase news. I took this upon myself to do this design as I wasn't particularly asked to do it. 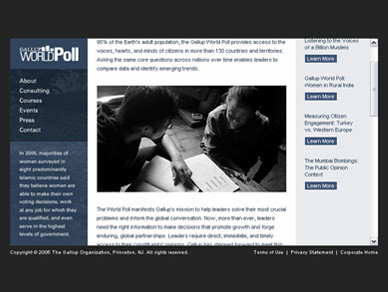 This was a design for the Gallup World Poll site to showcase what it is about and what Gallup is doing in the realm of consulting, polling, and educating around it's findings on one of the first poll's of it's kind. 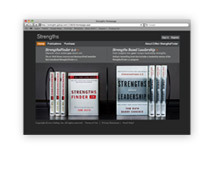 This was a design created for the book StrengthsFinder 2.0, written by Tom Rath an author from Gallup. 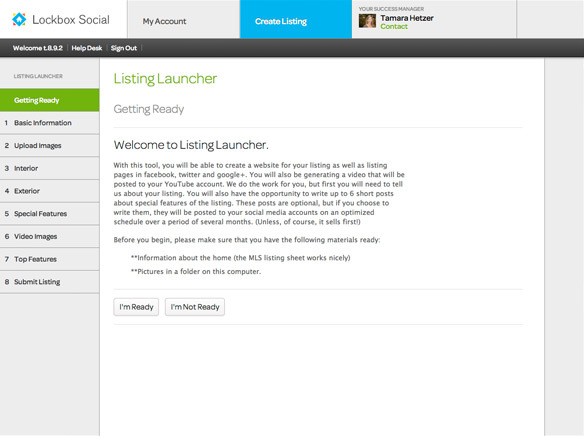 The design was developed in .net, I worked on the front-end development as well. 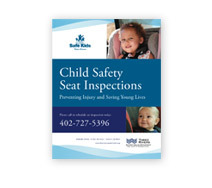 This was designed to promote child safety seat inspections. 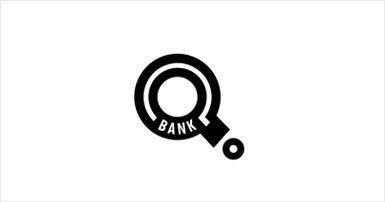 An explanation of the services you are interested in whether it is identity design, mobile or website design, print design, wordpress development, or photography. 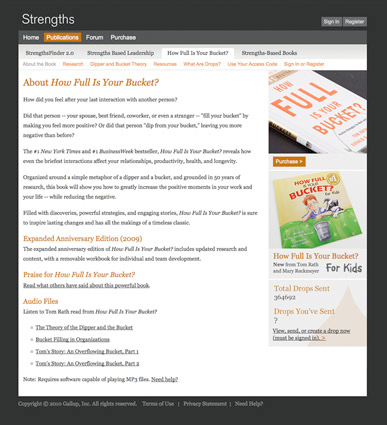 A a brief explanation of what your project goals entail. The budget range of what you have set aside for the project will provide good insight as to your ambitions with the project and how much time could be allocated to it. 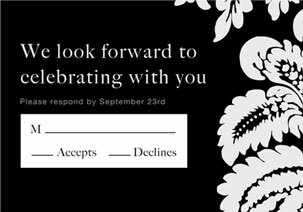 Please include all information to jakewiechman [at] gmail.com. 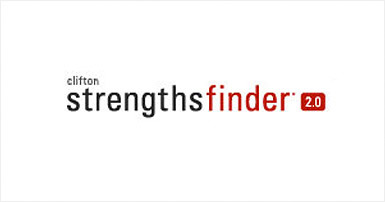 Upon submission, we will contact you to discuss your project. 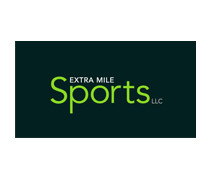 Freelance Consulting and Independent Projects / Startup Partner, Omaha, NE. 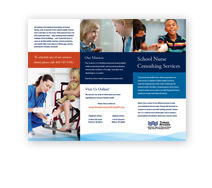 Independent Brand Consulting and Design, Bellevue, NE. 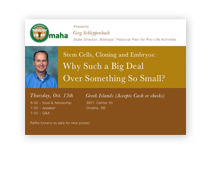 Gallup, Omaha, NE. Graphic Design Specialist. 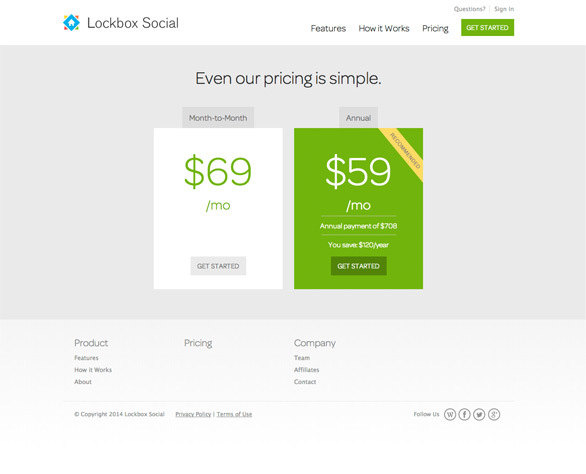 Experience with web and user interface design. 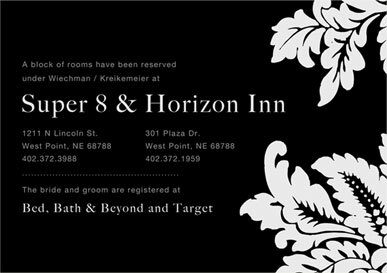 Independent Designer, Bellevue, NE. 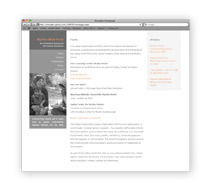 Experience designing and developing websites in Wordpress. Gallup, Omaha, NE. 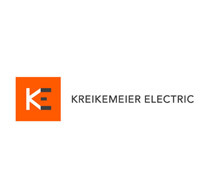 Graphic Design Specialist. 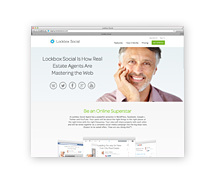 Experience with identity and branding, website art direction and design, and front-end development. 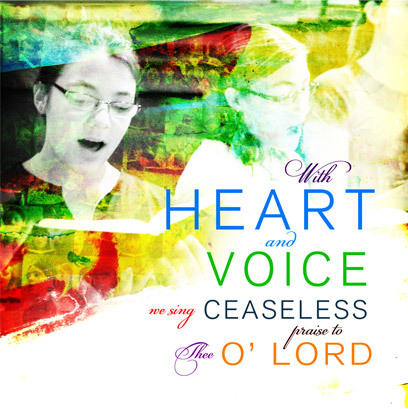 Dotzler Creative Arts / The Creative Center. 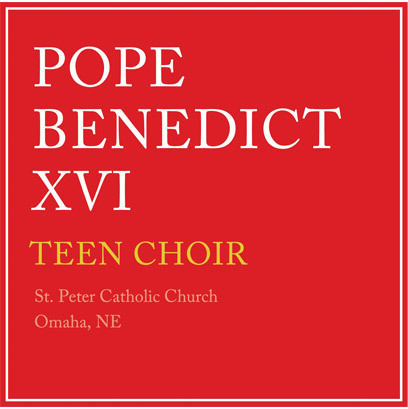 Omaha, NE. 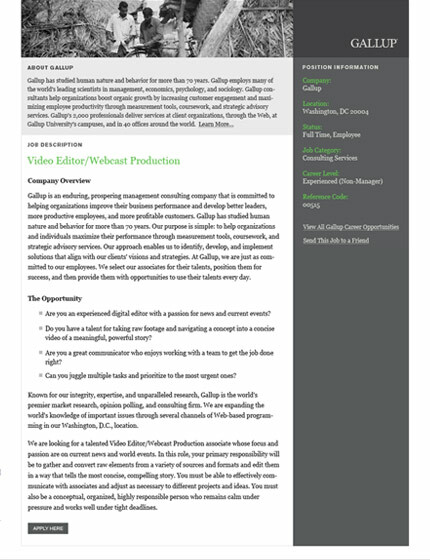 Experience designing and developing for various mediums including web, print, identity, and video. 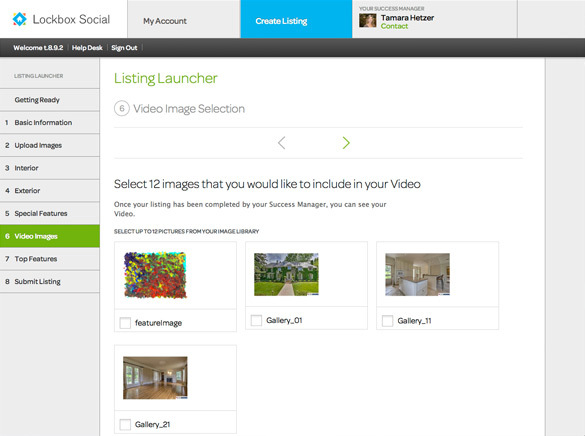 Image Market. Omaha, NE. Experience designing for t-shirts. 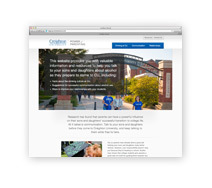 Associate Degree with emphasis in Web Design. 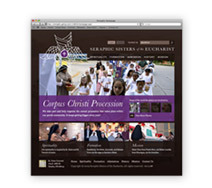 Associate Degree with emphasis in Design, Computer Graphics, and Illustration. 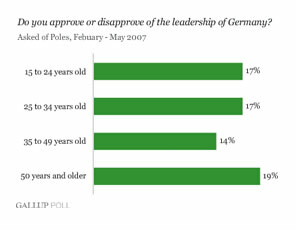 These were the final output examples of an update in branding to how Gallup displays their data. 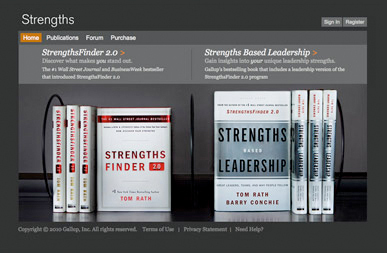 The goal was to unify the design with Gallup’s overall newly established identity. 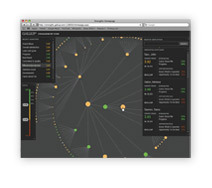 These graphs were exported by an Adobe Flex tool which would allow the importing of data, the modifications to the graph layout and some design, then the graph would be exported as an image from the tool. 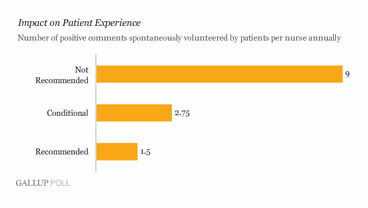 It allowed editors to make their own graphs yet allowed the design to stay consistent. 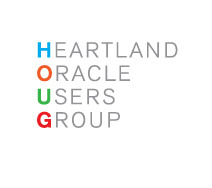 This was a logo I designed while doing contract work at a company called Light Inc., in Omaha. 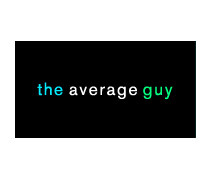 This was a logotype designed for The Average Guy Blog & Podcast Network. 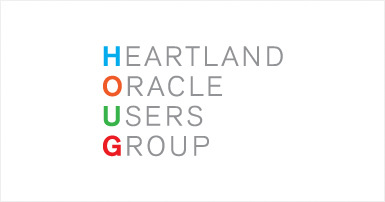 This was a logotype designed for the Heartland Oracle Users Group which provides networking and educational opportunities within the state of Nebraska, Western Iowa, South Dakota and Northern Missouri and Kansas. 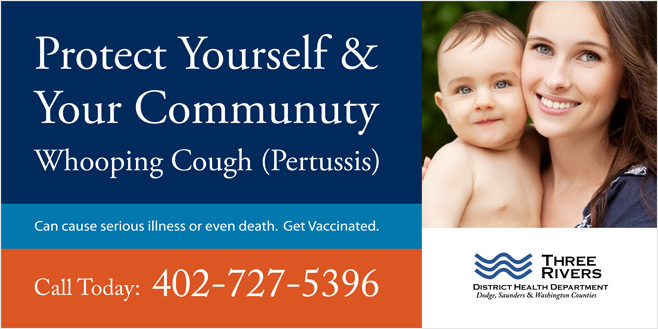 This is a billboard designed to give an overview of the importance of vaccination against pertussis and how to get signed up. 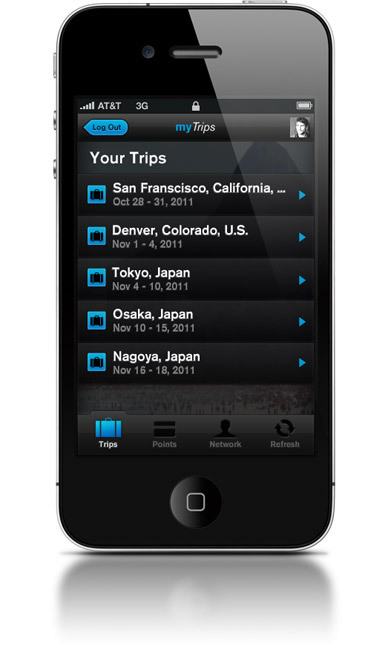 This was an application idea that was designed based on the current TripIt iPhone application. 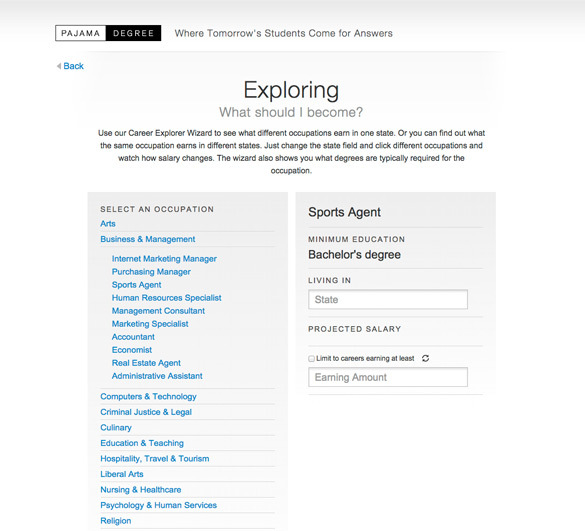 I needed to do this to apply for my current position as a User Interface Designer at Client Resources Inc., in the area of emerging technologies including mobile and tablet interface design and development. I wanted this to appear engaging for someone who travels a lot. 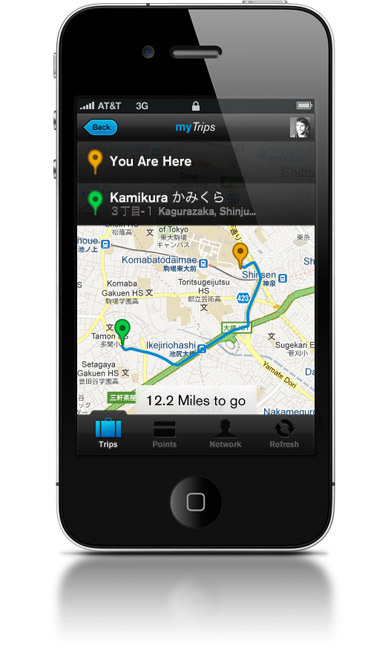 I also added an idea of having GPS integration. 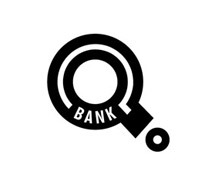 Overall, this application idea could include more functionality that would be useful for someone traveling, particularly info about their destinations, a way to translate currency, or just anything that might be useful for someone traveling, all in one application. 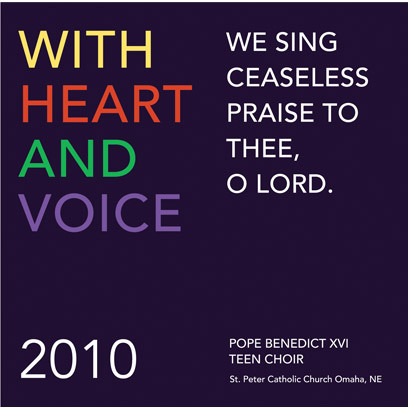 This was the design for a Catholic young women's teen choir at St. Peter Catholic Church, in Omaha, Nebraska. At this time, I was independent, so I had a lot of time to explore and uncover many, many ideas for this and where this could go. I spent a lot of time on this project (over months) and it was a discovery process for me that was more than just design and art. 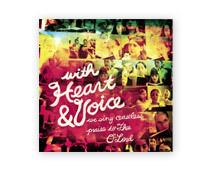 It was a searching for something, for what art direction was or a search for what this objectively "should" be. I tried to search for what that was and tried as many ideas as I could, within a certain scope, to see what I could come up with. 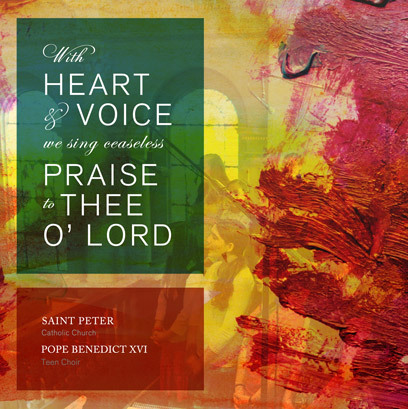 I wanted to show here the many reflections of design that can be created to represent something, in this case the choir, and the various feelings that can be created depending on the colors, textures, typefaces, ect. 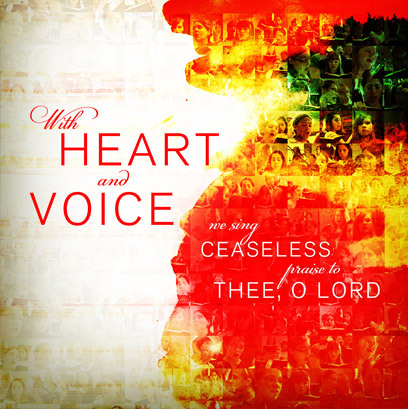 that are used. 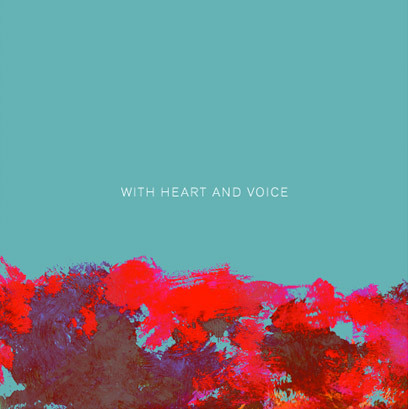 I tried to be original (using my own elements of photos, painting, and textures) with this project and it was also a search for my own style or, in a sense, myself. It's like a never ending process and was also a search for perfection, which is impossible, but I could see a certain progress in it. Overall, it was a struggle for what I wanted, versus what others might expect, or what was "safe" or "typical" for a project like this. 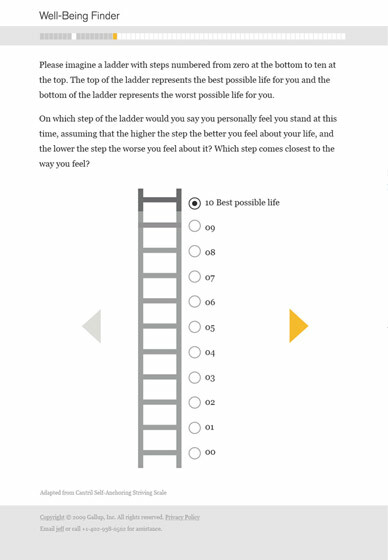 The final design that was chosen is at the top. I wasn't completely sure which one I liked best, as it was an interesting process of what that was, or even what I liked myself. I think I like the 2nd and 3rd versions shown here, from the top. 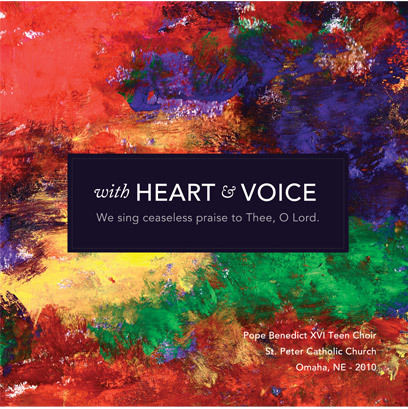 This was the design for a Catholic Church and School in Omaha, Nebraska. 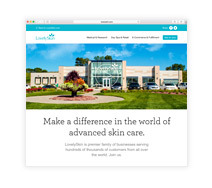 I worked on all of the design and direction of the website, and partnered with my friend Michael Krell, which had the site developed in Wordpress. 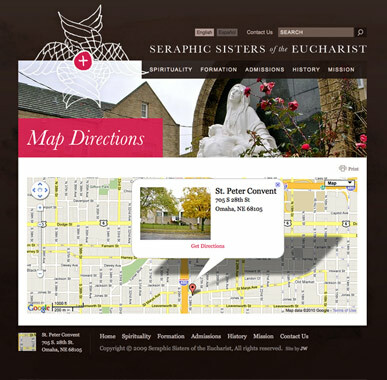 The site integrated the school and parish site as one. 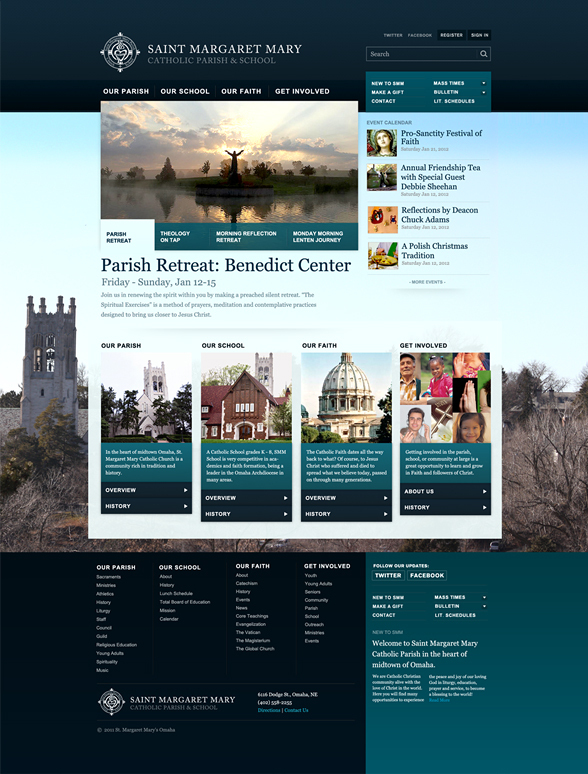 The back-end Wordpress admin panel allows teachers and parents to access grades and school pages, in addition to parish administrators to update and add new pages. 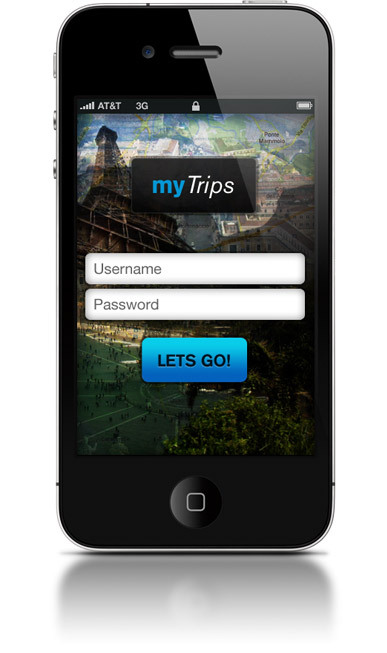 This is the design for an app that a friend and business partner, Michael Krell, and I partnered on. I did the design and Michael was the project manager, came up with the original idea, and had it developed by the iOS developer that we work with. 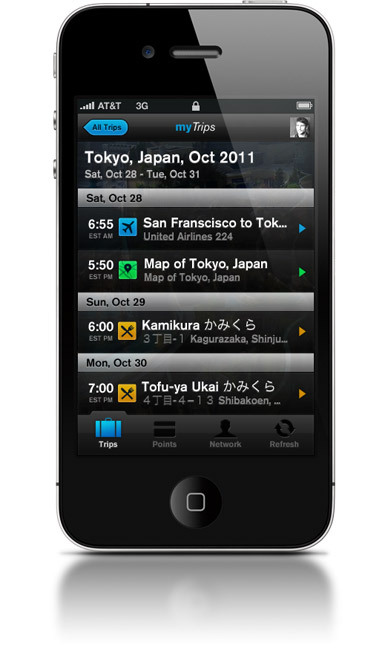 This was the 1st app that we did, independently. 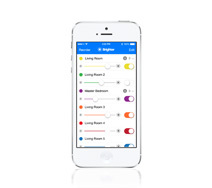 The app is for the Phillips Hue Lighting System, which connects via wifi, to the lights themselves, and is works as a controller for light color and brightness, with the added ability to group the lights for one single color/brightness control. Michael and I split all profits and it's sold for $1.99. 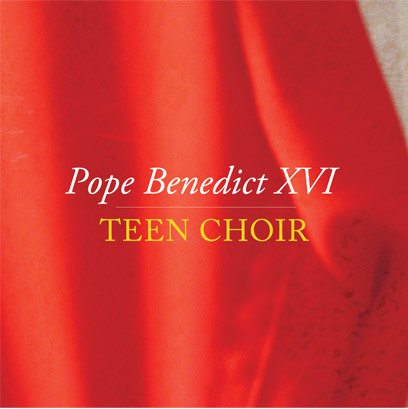 It has 5 out of 5 stars in the U.S. and has been downloaded and is used in different countries around the world. 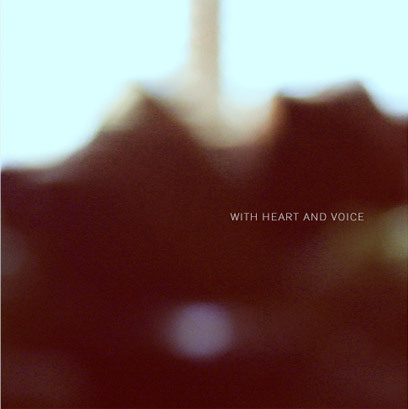 Michael Krell's website can be viewed here: mkrell.com. 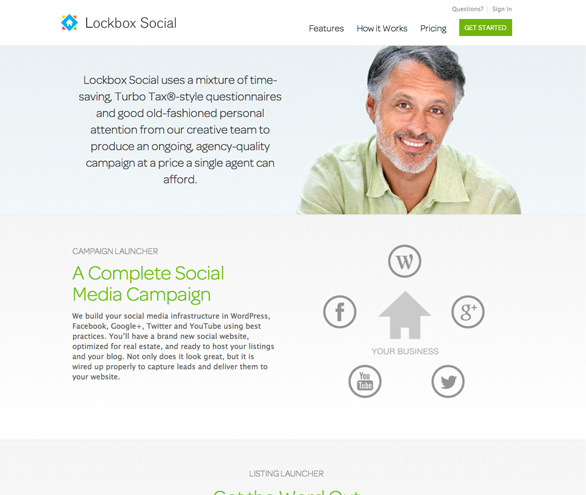 This was a website designed for a startup, started in Myrtle Beach, South Carolina, under a company called WebHen Media. 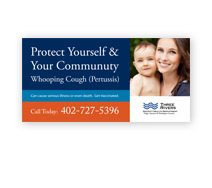 I worked directly for the company as a consultant under a company called ConsultTech Solutions, here in Omaha. I worked on all of the visual design (logo and all site aspects) and all front-end development work and also the Wordpress development for the blogging service, that's included in the purchased service. 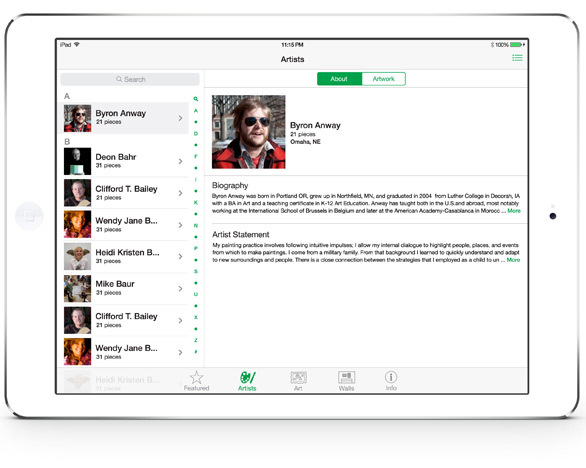 All aspects of the project are responsive and designed to work on mobile and tablets, as well. 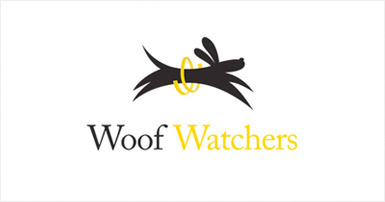 I worked directly with the client and it was very collaborative to get things to where they are. 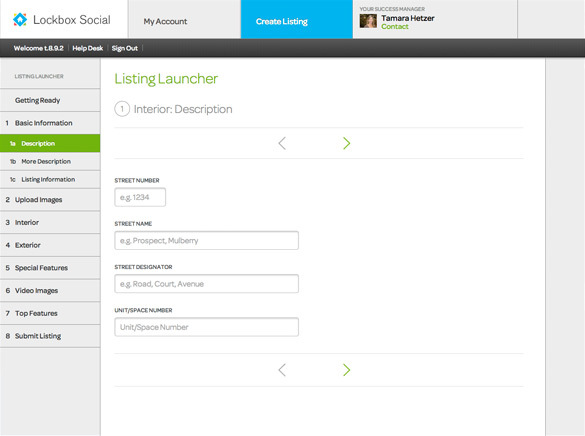 I also worked closely with the developer, who built the back-end and account services in .net and Angular JS. 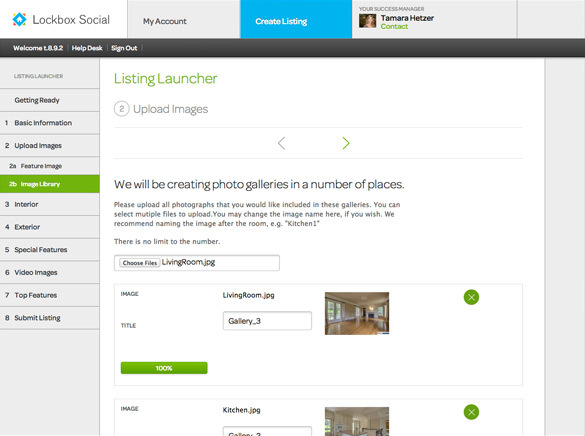 The project consists of the overall public facing product website, showcasing the services that are offered, a wordpress site that each agent gets to showcase listings, and the back-end where agents can enter the data and info needed to create a social media campaign for their listing and for themselves as a realtor. 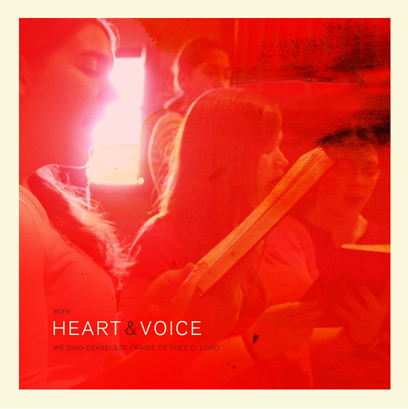 This project, as of Sept. 4th, 2014, is not fully released yet, but nearly there, so above is the staging link to a more finalized version of the project. 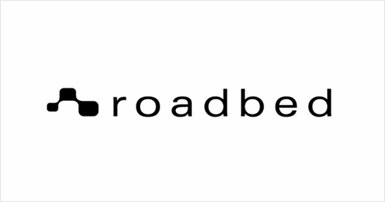 This was a website that I did all the design for, logo and site, including all the front-end development. 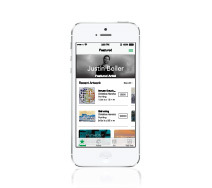 It's fully responsive and works on mobile as well. 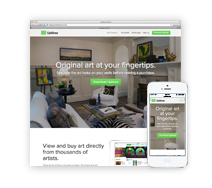 I worked directly with the client to help come up with the design concepts and the developer, who built the tools aspect of the site. 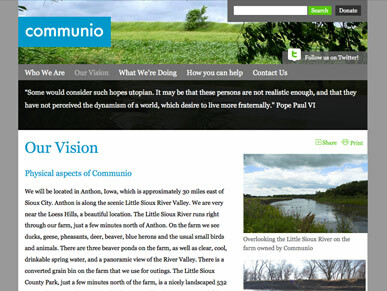 I worked as a consultant, on this project, under ConsultTech Solutions, in Valley, NE. This is version 2 of the same app. This has not been fully built yet, or released. 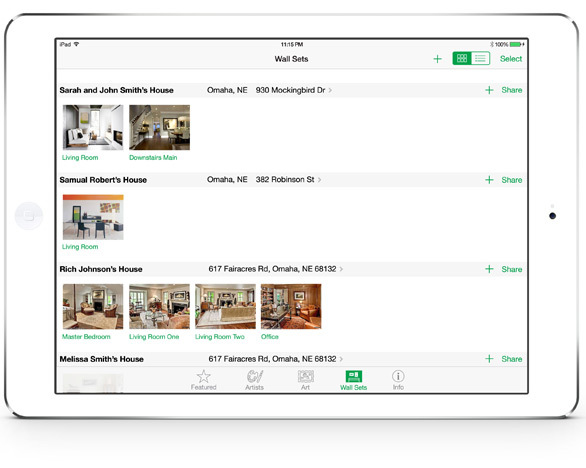 The updates to this included an overall update of the interface design and overall usability to be more inline with iOS 7 and 8 design patterns. 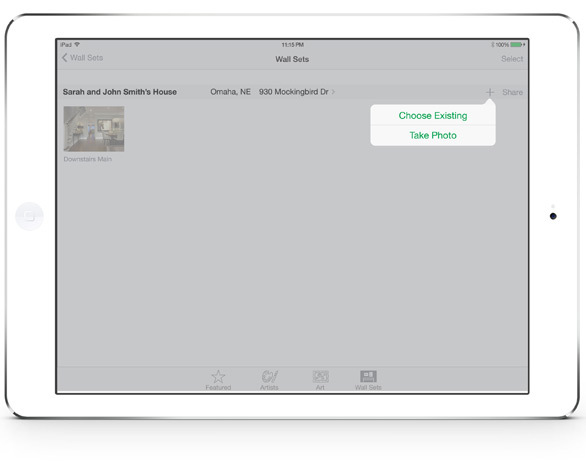 The interface was re-designed to include the ability to group and ungroup lights, in bulk or by individual, and move lights into other groups. 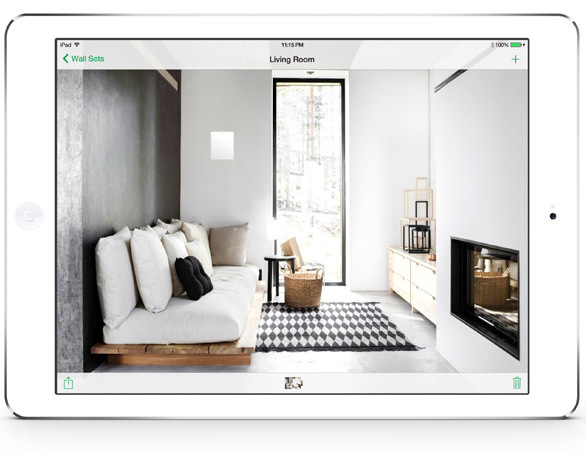 Grouping allows multiple lights to be controlled from one control for color, on and off, and brightness. 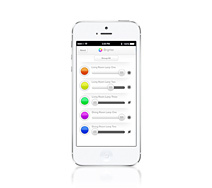 The Phillips Hue API did not originally allow grouping, until more recently. 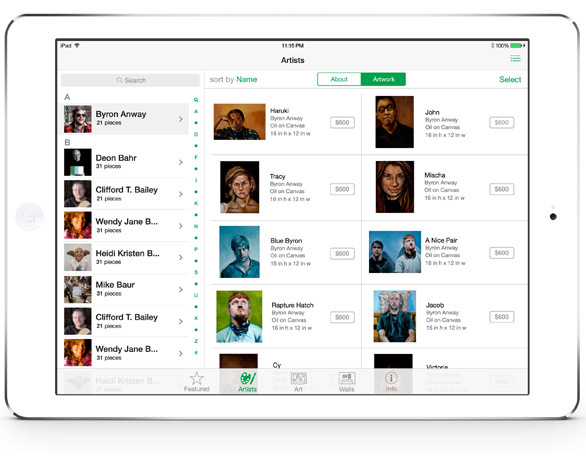 We are considering the idea of creating a widget for the app as well. 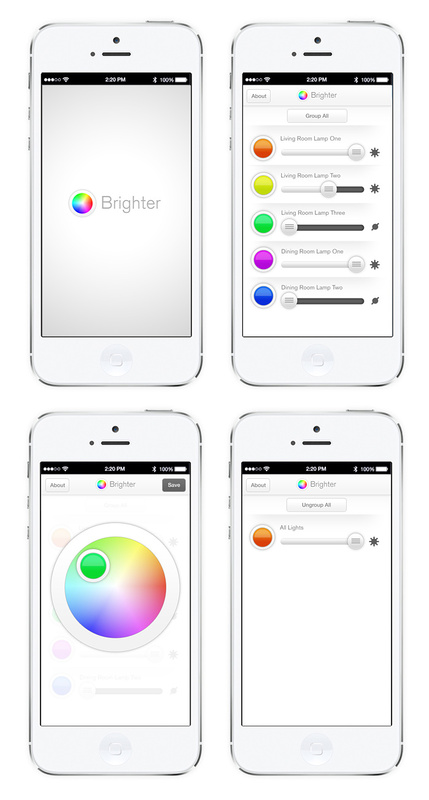 This would make it more competitive in the Hue app arena. 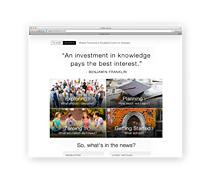 Upklose is a company I co-founded and co-own, with one other partner. 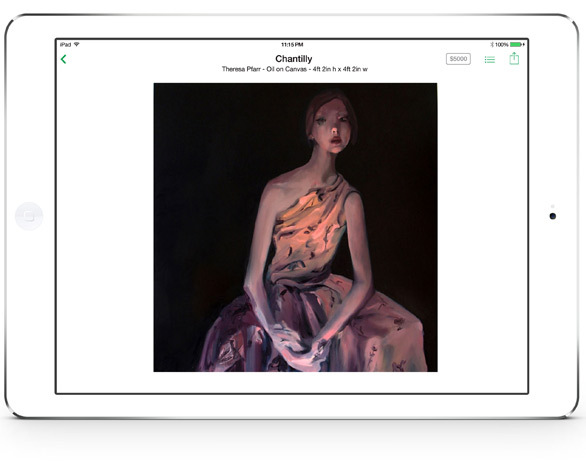 This is a native iPad app to showcase artists and their original artwork, and allow users to purchase this art. 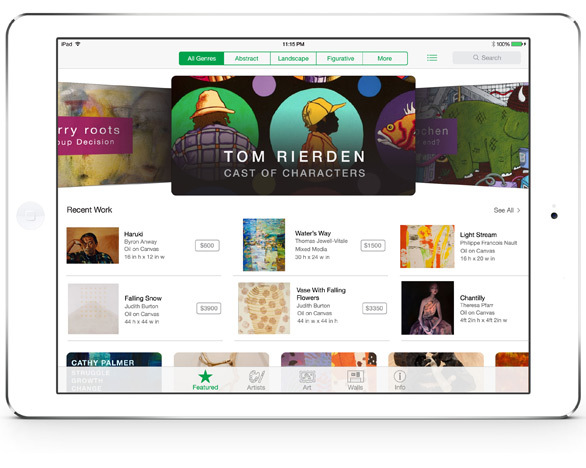 It shows featured artwork and artists and recently added art, as well. 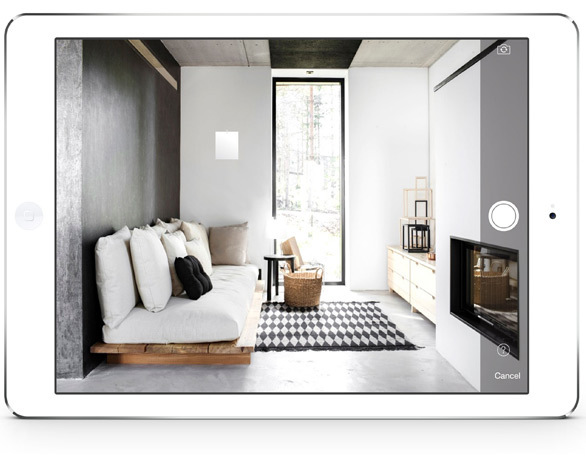 The app allows the end user to take pictures of a wall in their home, for example, and add artwork to the wall to see how it will look before they would decide to purchase. 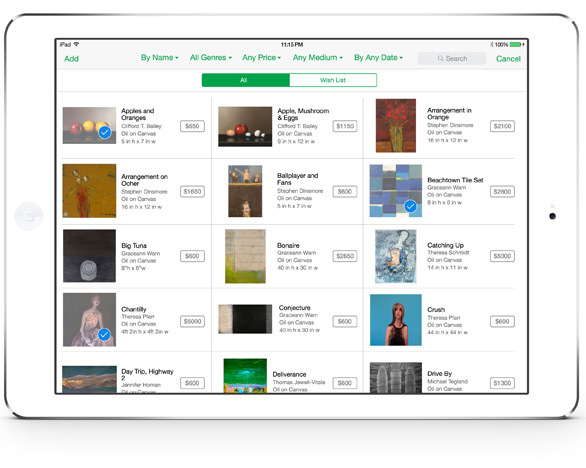 When users add the artwork to the wall, it calculates the scale of the art based on a guide that is attached to the wall. 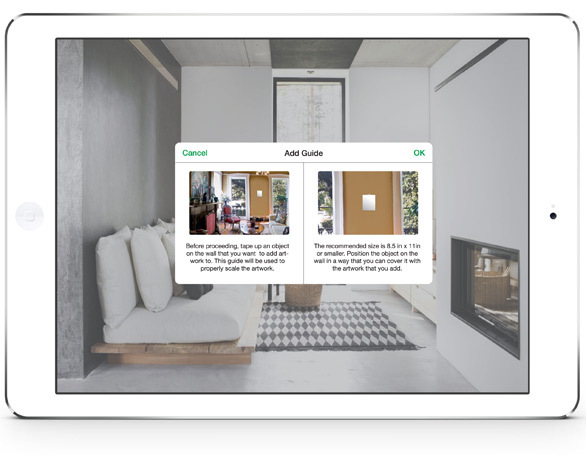 Users can create sets of these "walls" for various rooms in their home or office and save and share them on social media, as well. 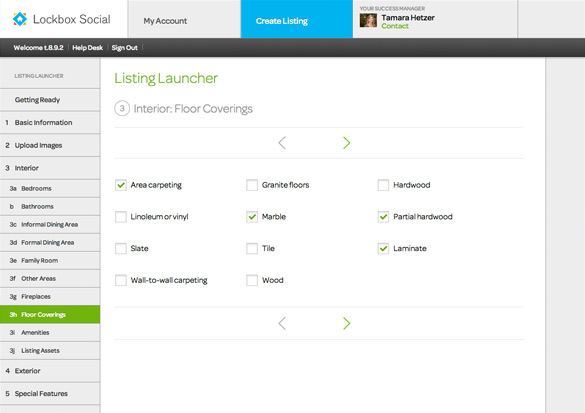 I did all of the design and worked with the developer to have it built, provided assets, and qa testing. 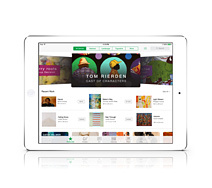 I worked on all of the design of this website, that works as the public website for the Upklose iPad app services. 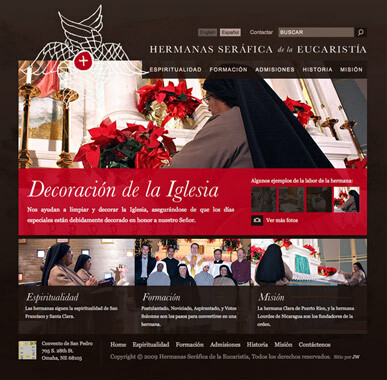 I did all of the design, identity/logo design, wrote the content, and did all the front-end development and responsive css where the site's main codebase is built in Cake PHP. 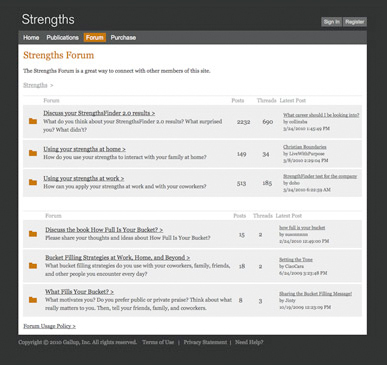 So I worked with the development team to build the public site pages and did mostly all of it but a few php scripts I didn't know how to do, and consulted with them. 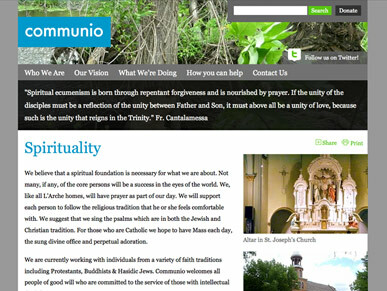 The site is will be fully responsive for mobile. 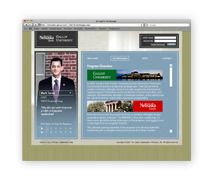 This is a series of websites all with a similar template, but different content and colors, for the major Nebraska colleges. 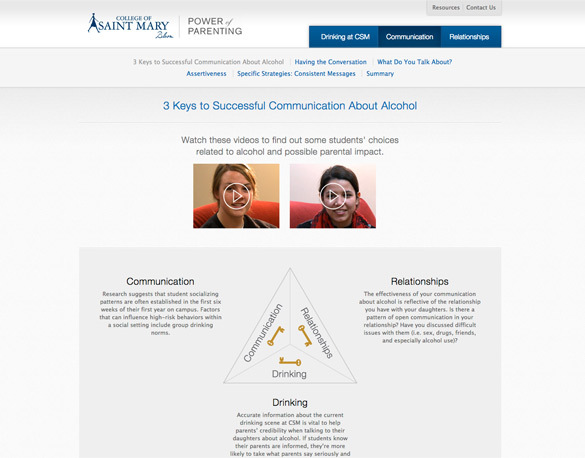 The goal of the site is to help parents talk to their children about drinking. 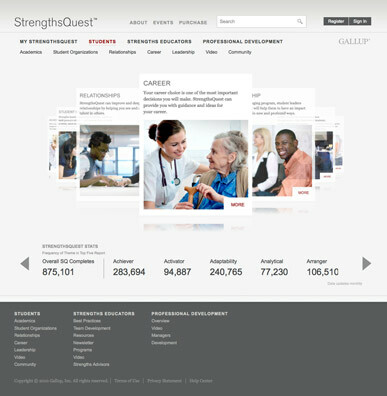 I did all the design, icons, logo, picked out photos, and all development work and front-end development using a cms system called Sitefinity. I worked with Jelecos, who originally had the relationship with this client, and under ConsultTech Solutions, as a consultant on this project. 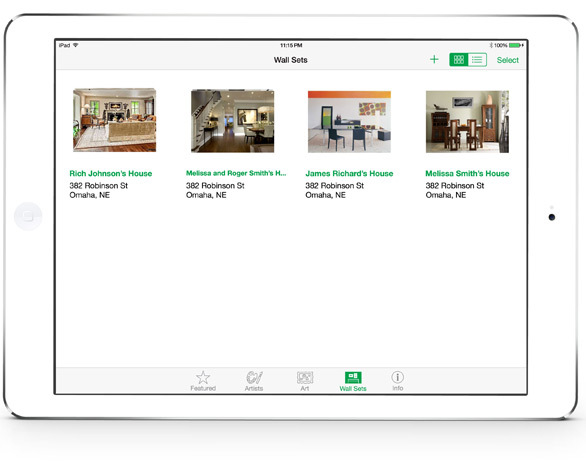 I did all the design and planning for this, based on the existing iPad version, currently in the App Store. These are some of the screens.